Wali dance (sacred dance), example: Berutuk guardian, Sang Hyang Dedari, and Baris Gede Rejang. Bebali dance (dance performances for the ceremony), example: Gambuh, Pajegan Mask and Wayang Wong. Balih-balihan dance (dance for entertainment), example: Legong, Parwa, Arja, Prembon and Joged, as well as various other modern dance choreography. Legong is a classical dance of Bali which has a very complex movement. The movements are tied to the music from percussion. “Legong” word comes from the “leg” which means flexible or elastic, and then interpreted as a graceful movement. 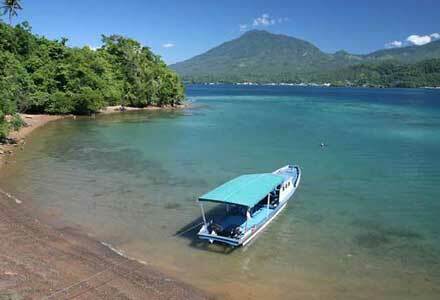 During its development, Legong develop into Legong Kraton. This dance is performed by two girls or more by displaying condong characters as the opening. In other situations, Legong dance performed by one or two pairs of dancers without displaying the condong characters first. Characteristic of the Legong dance is the use of fan. Barong is a character in Balinese mythology. 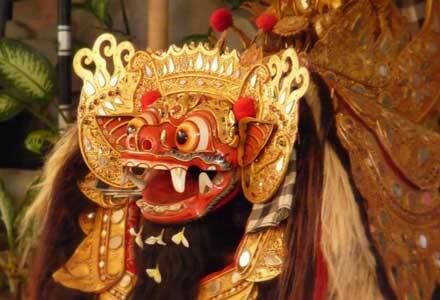 Barong is the king of the spirits and symbolize the “good side”, then the “evil side” is symbolized by Rangda. The most popular Barong is “Barong Ket“, shaped like a lion. Please watch the Bali dance video below. Barong dance Bali is derived from Gianyar, the center of the various Balinese arts. In Calonarong drama or another dance of Bali, Barong uses his magic to defeat Rangda. 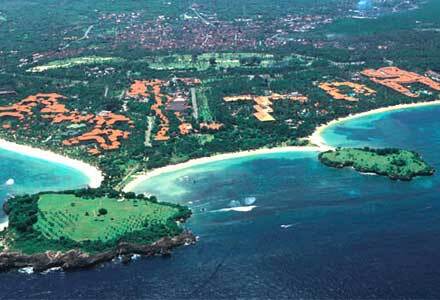 Bali Kecak dance was created in 1930 by Wayan Limbak and the German painter Walter Spies. This dance is a development Sanghyang dance (sacred dance), which the drama of Ramayana story. Wayan Limbak popularizing this dance while traveling the world with his Balinese dancers. Kecak dancers are mostly men. The dancers sit in a circle, lifting his arms, and with a certain rhythm called “cak“. They act like monkeys army that helped Rama defeat Ravana who kidnapped his wife, Dewi Sinta. The dancers that sit in a circle is wearing a plaid fabric like a chessboard on their waist. Besides these dancers, there were other dancers who portray the Ramayana characters as Rhama, Shinta, Hanuman, Jatayu, and of course the wicked Ravana. Arma Open Stage, Ubud: every Sunday at 07.30 pm. Balerung Stage, Ubud: every Tuesday at 07.30 pm. Peliatan village, Ubud: every Friday and Saturday at 07.30 pm. Ubud village, Ubud: every Monday, Wednesday, Thursday, and Sunday at 07.30 pm. Peliatan Stage, Peliatan: Ubud, every Friday at 06.30 pm. Puri Temple, Ubud: every Saturday at 07.30 pm. Temple at Kutuh village, Ubud: every Thursday at 07.30 pm. Taman Sari Temple, Ubud: every Sunday at 07.30 pm. Puri Agung Peliatan, Ubud: every Sunday at 07.30 pm. Puri Kaleran Peliatan, Ubud: every Tuesday at 07.30 pm. Puri Saren, Ubud: every Sunday at 07.30 pm. Taman Sari Stage, Ubud: every Wednesday at 07.30 pm. Arma Museum, Ubud: every Friday at 05.30 pm. Banjar Abasan Singapadu, Gianyar: everyday at 09.30 am. Banjar Suwung Kauh, Denpasar: everyday at 09.30 am. Padang Kerta Temple, Ubud: every Monday at 07.00 pm. Kesiman Stage, Denpasar: everyday at 09.30 am. Padang Galak Stage, Denpasar: everyday at 09.30 am. Pura Dalem Ubud, Ubud: everyday at 07.30 pm. Ubud Water Palace, Ubud: every Thursday at 07.30 pm. Sila Candra Stage, Batubulan, Sukawati: everyday at 09.00 am. Sahadewa Stage, Batubulan, Sukawati: everyday at 09.00 am. Denjalan Stage, Batubulan, Sukawati: everyday at 09.00 am. Banjar Abasan Singapadu: everyday at 09.30 am. Arma Open Stage, Ubud, every full moon: at 07.00 pm. Art Center “Werdhi Budaya” Denpasar: everyday at 06.30 pm. Banjar Bona Kangin, Gianyar: every Monday, Wednesday, and Friday at 06.00 pm. Padang Kerta temple, Ubud: every Tuesday at 07.30 pm. Baha village, Mengwi, Badung: on request. Junjungan Village, Ubud: every Monday at 07.00 pm. Padang Tegal, Ubud: every Wednesday, Saturday, and Sunday at 07.00 pm. Batukaru temple: every Thursday at 07.30 pm. 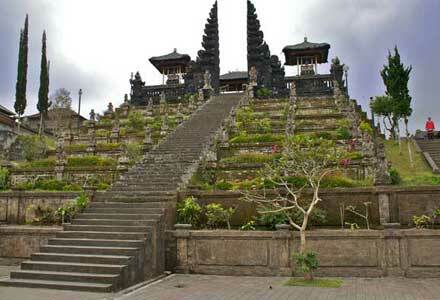 Taman Kaja temple, Ubud: every Wednesday at 07.30 pm. Pura Dalem Ubud, Ubud: every Friday at 07.30 pm. Pura Taman Sari, Ubud: every Thursday at 07.30 pm. Pura Uluwatu, Badung: everyday at 06.00 pm. Puri Agung Peliatan, Ubud: every Thursday at 07.30 pm. Jaba temple, Kutuh village, Ubud: every Monday at 07.30 pm. Monkey Forest, Ubud: every Tuesday at 08.00 pm. Oka Kartini, Tebesaya village, Peliatan, Ubud: every Wednesday, Friday, and Sunday at 08.00 pm. Puri Kaleran Peliatan: every Saturday at 07.30 pm. Arma Museum: every Wednesday at 07.00 pm. Penjor Restaurant, Sanur: every Saturday at 08.15 pm. Mawang village, Ubud: every Thursday and Saturday at 07.00 pm. Menara Hotel, Ubud street, Gianyar (0366-977080): every Friday at 08.00 pm. Panca Arta, Ubud: every Thursday at 08.00 pm. Br.Teges, Peliatan: every Tuesday at 06.30 pm. Ubud Kelod, Ubud: every Wednesday at 07.30 pm. Menara Hotel, Jln. Raya Ubud – Gianyar (0366-977980): every Tuesday and Wednesday at 07.00 pm. Banjar Buni Kuta: every Monday and Thursday at 08.00 pm. **All data taken on July 1th, 2012.